TRAVELERS FROM FAR AND WIDE HAVE SEEN THE BEAUTY OF POPULAR DESTINATIONS IN THE PHILIPPINES SUCH AS BORACAY, PALAWAN AND VIGAN. AND YET, THERE ARE MORE HIDDEN GETAWAYS THAT AWAIT WITHIN THE 7,107 ISLANDS OF THE PHILIPPINES. THUS, TAKE NOTE OF THESE FOUR SECRET GEMS WHEN THINKING OF SOMETHING NEW TO TRY ON YOUR NEXT GETAWAY. If you can take a break from sightseeing in the beautifully diverse ecosystems of Sibuyan Island in Romblon province, then set your sights on Cresta de Gallo. This compact pristine paradise is devoid of hotels, restaurants, resorts, and electricity. Surrounded by inviting turquoise waters, Cresta de Gallo is a haven for snorkeling, fishing and windsurfing. 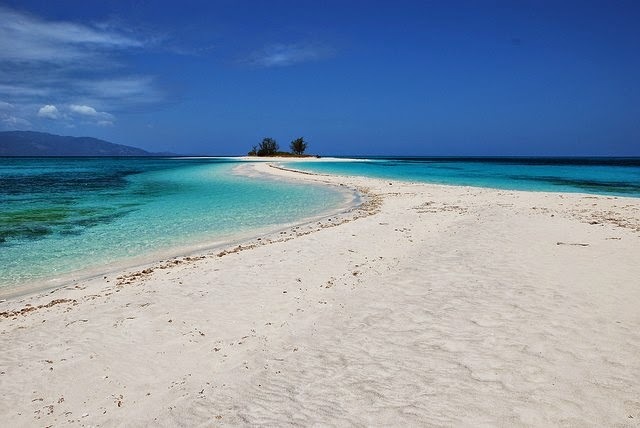 Going to this secluded island takes about an hour from San Fernando in Sibuyan Island by boat. It’s best to cast off in the early morning to enjoy the calm seas and the picturesque Mount Guiting Guiting along the scenic route.